Celebrate Christmas on the Beach! Breakers East Condos in Destin, Florida ~ Open for Christmas! Trade powder white snow for sugar white sand this holiday season. The beach is one of our favorite places to spend time with family and friends, and the holidays are no exception. 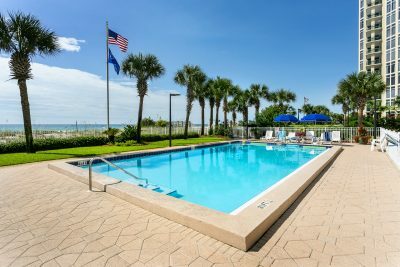 Our lodging partners Southern Vacation Rentals are reporting that the popular Breakers East condos in Destin, Florida still have some Christmas availability. Call or book online with them soon, as you don’t want to miss out on Christmas at the beach! Inside your condo, discover spacious layouts with room for six to eight guests. These two-bedroom, two-bathroom vacation condos come fully furnished with everything you need for an enjoyable time at the beach. You’ll love the fully equipped kitchens, cozy accommodations, and luxurious upgrades found inside your condo. Then, of course, there’s the beach. Breakers East sits directly on our famous sands, overlooking the Gulf of Mexico. You could not ask for better views! At your Destin, Florida vacation condo you can delight in 30 feet of balcony space to relax on as you savor some of the most incredible views around. 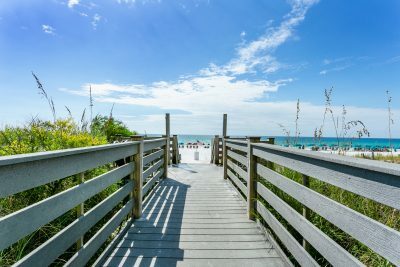 When you’re ready to head down to the beach, Breakers East’s private boardwalk will take you directly there! Carve out some time to enjoy Breakers East’s exciting community amenities, including a Gulf front pool, tennis courts, shuffleboard courts, and more. Breakers East’s location in Destin could not be better. Situated right on Highway 98 in Destin’s downtown area, you’re nearby a myriad of family-friendly fun. You could spend a day at Destin’s local amusement park or shopping at Destin Commons and Silver Sands Premium Outlets, located just a short drive away from Breakers East. Destin also hosts tons of great dining options. Enjoy breakfast at The Pancakery, open daily from 7 AM to 2 PM. Or head down to The Local Market for a great lunch. Try the rotisserie chicken sandwich and their homemade pickle chips. You won’t be disappointed! Both of these restaurants are just a quick drive away from your Breakers East condo. Ready to reserve your spot on the sand? Visit here for more information and availability.